Man, has it only been two weeks since we last met around here? It feels like far longer! 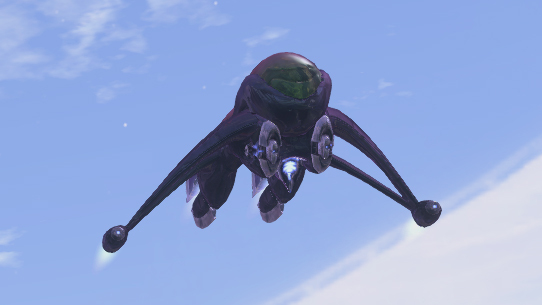 In the past fourteen days or so, we’ve seen plenty of action around the Halo sphere (well, “ring,” technically), and we’re here to catch you up on all the most important bits. Without further ado, let’s get to it! We’re finally at the doorstep of HCS London, which takes place this weekend Sept 14-16 at the Gfinity Arena in, well, London. For those of you who might not be as familiar, the event is a global open Halo 5 tournament that will showcase the world’s best Halo teams and players battling it out over a $135,000 prize pool. If you fancy yourself a pretty competitive Halo player, do yourself a favor and take a look at these squads this weekend – it never ceases to amaze me the talent on display at these events. In addition to the incredible playing prowess taking place, esports events like HCS London are also an awesome way to develop new friendships and a greater appreciation for the Halo community at large, especially when you consider how far reaching it is. With that international element in mind, it’s a great time to call out some of the amazing content our friends at Gfinity have been putting out leading up to the event. One of my favorites has been the London Survival Guide, hosted by adored colleagues and good friends Lottie Van-Praag and Mark “Onset” Hatcher. It’s awesome. They’re awesome. You should check it out. Never gets old. Now, to get ready for the event itself, make sure you check out the links below for all the details on schedule, format, rosters, storylines, and much more. For all the latest on the Halo Championship Series, keep your web browsers locked to Halo.gg and follow @HCS on Twitter. Plus, check out the awesome community-curated Halo Data Hive for updated player stats and match results. As many of you might remember, back at HCS New Orleans, we announced an MCC-based Halo 3 2v2 tournament that will be taking place during the HCS 2018 Finals at DreamHack Atlanta on November 16-18. Just yesterday we unveiled a bunch of new information, a new event logo, detailed format and qualification breakdowns, MCC playlist association, and much more. Check out our official announcement for all the details! Today we released our newest rotational playlist in Halo 5 matchmaking – a brand-new mode called Roaming King! This awesome new experience was created in close collaboration with the community and is one of the most fun times we’ve had in Halo 5 recently. In the team-based Roaming King mode, Spartans fight to control the constantly-moving hill as it traverses the map. At first blush, this mode might remind folks of the old Crazy King mode, where the hill teleports to a random spot on the map on a set interval. In the new mode, this roaming hill will constantly crawl around the map on a predetermined path, creating an always-on-the-move focal point for ever-changing battles. Make sure you check out our official launch blog for the new mode, where we've got a full breakdown of the maps that will be featured in the Roaming King playlist, along with Content Browser links so that you can bookmark them and enjoy them in custom games whenever you'd like, and an interview with the mode’s creator MartianMallCop to learn the full story of its evolution. It’s a ton of fun – go jump in and play! We’re also planning some Community Playdate action around the new mode soon for players to get a chance to snag an Ice Unicorn weapon skin if that’s something that strikes your fancy. This past Monday, yours truly got a chance to head down to the Turn 10 broadcast studio with Halo Franchise Producer Carlos Naranjo to hang out with the Forza folks on their monthly livestream. Why would a couple of Halo guys be joining such an operation, you ask? Why, to spread the good word of our favorite franchise to new and exciting new lands, of course! Specifically, historic Britain in fact, as we joined T10’s Brian Eckberg and Terrance Newell to debut the Halo Showcase event in Forza Horizon 4. Many of you might remember back in Horizon 3, we got our first chance to actually drive the Warthog in the series, even careening across the beach Silent Cartographer-style in an awesome Bucket List challenge. In fact, we even did a very special Canon Fodder feature to celebrate it back in Issue 87, where we also provided then-yet-unrevealed details about some of the civilian vehicles found throughout the Halo games themselves. That’s your boy out there representing. Aside from upholding the honor of high-velocity Halo fans everywhere, we had such an incredible time hanging out with the T10 team and absolutely cannot wait to be able to play it with all of you out in the wild in just a few short weeks. Forza Horizon 4 drops on October 2 for the standard edition and on September 28 for the Ultimate Edition – plus, if you happen to have Xbox Game Pass for all those awesome Halo titles you already like to play, you’ll be happy to know that FH4 is also available there on launch day (Oct 2)! So, go support one of our sister franchises and snag another unique and exciting Halo experience to boot. This past week we made another update to the MCC matchmaking experience, which included new map/mode weighting for Halo: CE Team Arena and our first new rotational playlist: H2 Classic SWAT! For full details on the changes and map/mode combos, make sure you check out our post on the Halo Waypoint forums. We’ve also got another patch in the pipes currently slated for next Wednesday (Sept 19) that will include a host of further under-the-hood improvements, some fun little decorative goodies (nameplates ftw! ), and adjustments aimed specifically at improving the matchmaking experience for players in further-flung locales. The 343 Social Stream continues to provide good times, great guests, and more-or-less-adequate Grim gameplay, all for the enjoyment of our loyal viewers. 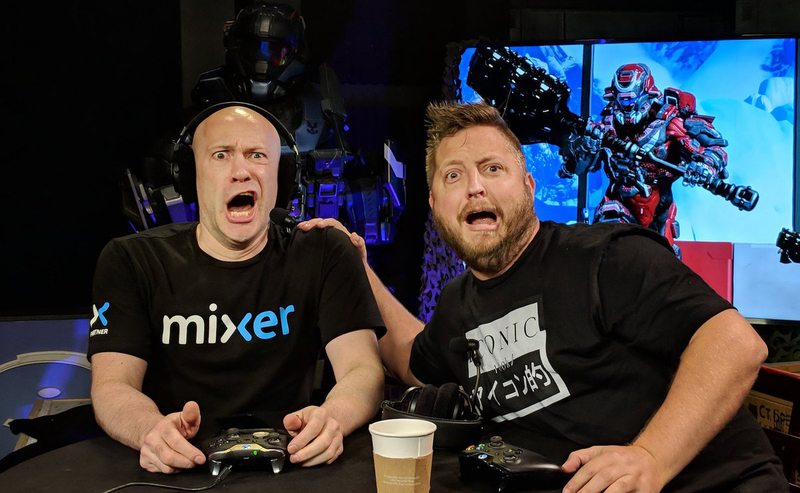 Actually, speaking of loyal viewers, last week we had our very first community guest on the show, as DJ Blue PDX joined us in the hot seat to play some Grifball, ponder on PAX, do incredible voice-over impressions, laugh a lot, share stories, and overall just have a really great time. Also, sorry about your headphones. On yesterday’s show, we had had 343 Multiplayer Engineer Nick “ritzy pizza” Harrison join us to drop 21-0 Perfection performances on stream, talk about his role and pathway into gaming, and provide some pretty awesome and detailed insights on some of the behind-the-scenes aspects of creating a multiplayer game. Plus, we smoothly transition between time-travelling correspondent clones to chat with Rob Bowen and Tashi from the esports team about HCS London. The 343 Social Stream takes place each Wednesday from 1:30 – 3pm PT on mixer.com/Halo, so come join in and chat with us! The MCC wasn’t the only Halo title to get some updated lovin’ yesterday, as our own Matthew “Wrensi” Jordan also let players know about another new balance change patch to Halo Wars 2, as well as info on an updated cadence for HW2 patches going forward. You can check out all the details on his post in the Waypoint forums. As more and more fans get their hands on the increasingly-popular Halo: Fireteam Raven arcade game, we get asked a lot: "How can I find out where one is near me?!" Well, for those looking to get their hot-drop on, we've got something that might help you out. Check out our new Fireteam Raven Location List feature on Halo Waypoint to keep up to date on all the places you can experience Halo's newest cooperative adventure. And if you don't see a spot near you listed just yet, keep checking back as the list will be updated regularly! 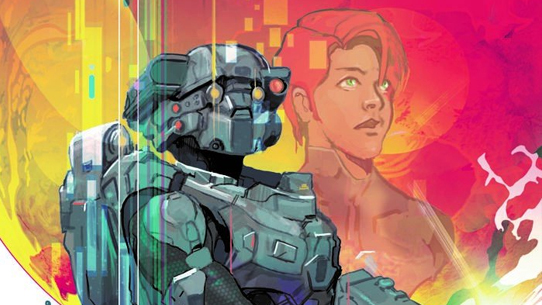 Last week, Halo: Silent Storm landed in the e-readers, bookshelves, and headphones of Halo fans everywhere, and it's been an immediate hit. 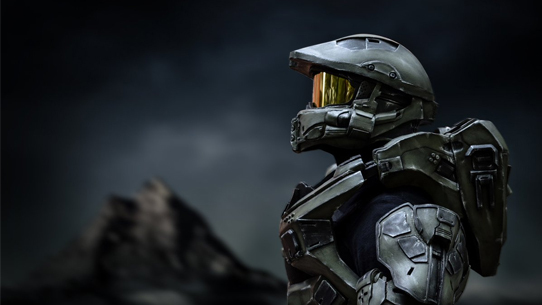 Featuring a return of the Master Chief to a novel-headlining role and set early in the Covenant War, Silent Storm is helping people fall in love with Halo all over again. If you haven't checked it out, make sure you order your copy today! Last week our own Bonnie Ross helped debut a really awesome initiative to further advance STEM (Science, Technology, Engineering, Math) career awareness and opportunities for young women all over the world. Personally, as someone who has not only spent decades involved in STEM education themselves, but has also seen, invested in, and directly benefitted from the incredible impact that women in STEM fields can have, it’s a campaign that’s very much near and dear to my own heart. 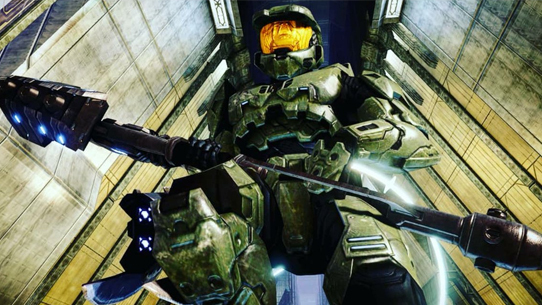 To dive into the subject far more eloquently and authoritatively than I ever could, Bonnie recently wrote an amazing perspective piece on our 343industries.com studio site. It’s a wonderful inside look into the overall conversation from someone who has lived the journey and continues to make an impact on so many. Don’t forget to go and check out our latest Halo Community Spotlight, which came out last week. It features more amazing community-created content, including mind-blowing cosplay (like you see here! ), montages, machinima, epic screencaps, fan art, and more. Before we head out, we want to offer our thoughts, prayers, well-wishes, and more to all that might be affected this weekend on the east coast of the United States, particularly those in the Carolinas bracing themselves for the arrival of Hurricane Florence. For those impacted, please stay safe and heed emergency instructions. For those looking to help, you can check out the Red Cross and a number of other charitible organizations. Halo fans are nothing if not incredibly inspiring when it comes to helping fellow fans in need. And that will do it for us this week. We hope you have an awesome – and more importantly safe – weekend, and we’ll see you soon! Until next time… Live well, play Halo, and don’t sweat the small stuff. Allo! Welcome back to another Halo Community Update, we hope it finds you well. It’s been a pretty busy couple of weeks since we last met around these parts, so let’s jump right in and see what’s been happening in Halo land. Hey everyone! We’re back with another Halo Community Update. We’ve got a light-ish week overall this time around but are still excited to spend a few moments with you – let’s take a look at what’s going on lately! Things have been pretty good around these parts, lately. The weather is cool, the air crisp, the roads damp, and the leaves a gorgeous mix of greens, yellows, oranges, and reds. From competitions and campaigns to community curiosities, there’s a ton of cool new adventures on the way, both right around the corner and much farther-flung. Let’s talk about a few of them today, shall we?